A number of Steering Groups have been established to support and guide the delivery of the different aspects of the Strategy that apply to England and the UK. The devolved nations have each established their own Forums for the same purpose. As the evidence of what works builds the Steering Groups and Forums will the action plans to tackle the issues identified. 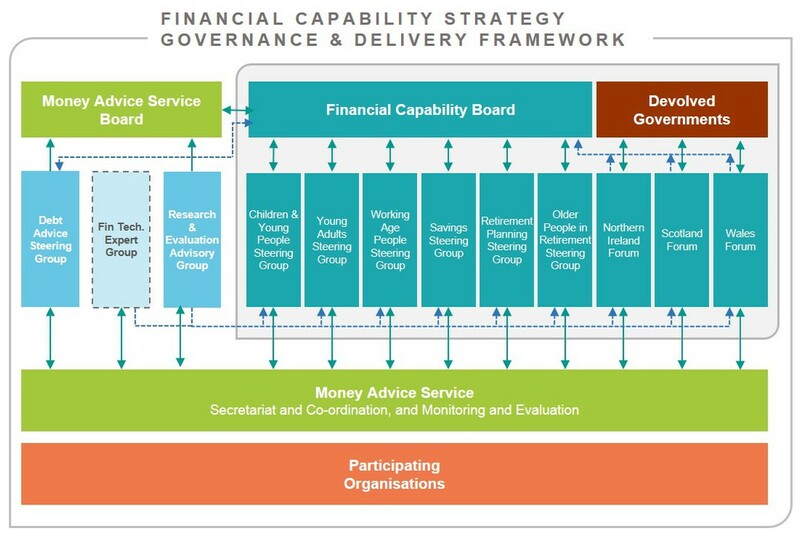 The Financial Capability Board is responsible for oversight of the Strategy as a whole. They are supported by The Money Advice Service who have led the development of the Strategy and will continue to provide secretariat to the Board, Steering Groups and Forums. Note: The establishment of a Fin Tech expert group is still under consideration.